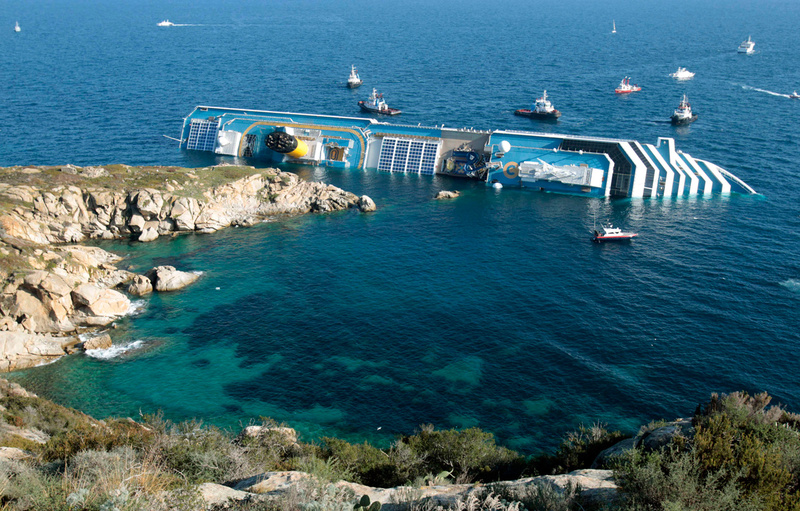 Filing Lawsuits in the United States: Lessons from the Costa Concordia! Following the Costa Concordia tragedy, a cruise ship which ran aground and capsized off of the coast of Italy, several attempts are, unsurprisingly, in progress to pursue lawsuits in the United States, despite the evidentiary connections of the incident with Italy. Such lawsuits in the United States include the filing of a claim in federal court in the United States District Court for the Southern District of Florida, which has already seen its dismissal by that court, based partly on the forum selection clause in the passenger ticket contract but primarily on grounds of forum non conveniens, a concept which is explained below. In July, the dismissal was upheld by the 11th Circuit Court of Appeal. The suit was brought on behalf of U.S. citizen-passengers who had purchased tickets for the vessel’s ignominious accident – some having been injured in the accident and two others who were not on board the vessel due to visa issues but were relatives of those who had been aboard. The court noted that about 100 of the passengers were U.S. citizens, while two-thirds of the 3,206 passengers were Italian or other Europeans. Costa Cruise Lines (“CCL”), Costa’s marketing subsidiary, which was a Florida corporation with its principal place of business in Florida. The plaintiffs asserted that they were entitled to bring their lawsuits in the United States, as they were U.S. citizens, and both the umbrella company, Carnival, and the marketing subsidiary from which their travel agent purchased their tickets, had their principal place of business in Florida, U.S.A. Note that, generally speaking, a corporation can be sued in the state where it was incorporated, and also where it has its principal place of business. The tickets at issue were purchased over one month in advance of the voyage through a travel agent from California who was not sued. After the purchase, the court noted that CCL sent 18 notices to the agent confirming the ticketing and instructing the agent to complete a “web check-in”, which was required before the actual ticket would be issued. However, the agent did not immediately conduct the web check-in, despite the many notices, until five days before the voyage. The ticket was then issued one day later and, thus, only four days before the voyage was scheduled. This ticket contained a forum selection clause, which selected Genoa, Italy, as the forum in which any passenger claims had to be brought. It also mandated arbitration of claims (rather than the filing a lawsuit), contained provisions limiting the liability of the corporation, and stated that Italian law would apply. The court, in determining the passengers’ rights under the ticket contract, noted that these ticket contract terms were printed in bold capital letters and prominently displayed, even with a symbol of a hand telling the reader to stop and read the clause. The court cited case law for the proposition that such forum selection clauses are presumptively valid, and must be shown to be unreasonable in order to invalidate them. This can be done either by showing the ticket contract had been unreasonably communicated due to its “physical characteristics” (for example, was it readable and prominently displayed, not hidden in a footnote) or by showing that the passenger, because of the circumstances, was unable to review and have a reasonable opportunity to read and reject its terms. Here, the court found it was adequately displayed within the ticket, but questioned whether receiving the actual ticket only four days before the voyage was sufficient to give the passengers a reasonable opportunity to review and/or reject these provisions. The defendants also asserted that, regardless, the passengers had constructive knowledge of the terms of the ticket contract through their travel agent, as the travel agent had previously booked hundreds of tickets for Carnival cruises and therefore should have known that the ticket would contain a forum selection clause. The court declined to rule on this argument, asserting that it would require an evidentiary hearing to do so. However, the court determined that it did not need to make such a factual finding because its decision to dismiss the case was primarily based on its finding that the United States was an inconvenient forum for the Costa Concordia litigation. The court relied on the legal principle of forum non conveniens, which allows dismissal of lawsuits in the United States because another forum is the proper or better place for the litigation, based on fact-centered circumstances such as where the accident itself occurred and the location of parties and witnesses, which were all in Italy in this case. Moreover, the court determined that Italy was an adequate forum, and presuming there were no procedural problems for the plaintiffs, who were U.S. citizen-passengers, to reinstate their case in Italy, the court found that the lawsuit should be pursued there because it had more connections with that forum. Thus, the court dismissed the suit, brought by U.S. citizen-passengers, against defendants that included two Florida-based corporations, because the case had more factual connections with Italy, but also in part because the passenger ticket, which functions as a contract, required the case be filed in Genoa, Italy. There are other lawsuits in the United States that were filed in Florida state courts, including on behalf of many foreign nationals, and it will be interesting to follow whether they are also dismissed along similar grounds. Finally, note that the other provisions of the passenger ticket, requiring that the claim be arbitrated and limiting the liability of the corporation, have not been addressed, but will undoubtedly also be litigated at a later time, whether through other U.S. litigation or in Italy, and there is a strong likelihood they will be upheld.